If you’re a small business owner, you should sell gift cards. It’s just that simple. Why? First, consumers love gift cards. Over 93% of all consumers have given or received at least one gift card, and the vast majority of American consumers plan on purchasing multiple gift cards throughout the year. This means that, if your business doesn’t offer gift cards, you could be missing out on a huge market! Second, gift cards offer a large variety of benefits to retailers. Retailers get the value for the purchase price of a gift card upon the purchase of the card itself – not upon redemption. This allows retailers to maintain a steady cash flow, and enjoy increased revenue. There are other benefits, too. Most people who buy gift cards spend more than the initial value of the card, and a consumer who has a gift card to your store is far more likely to shop there – even if they have never been there before. And if you own a retail store, you’ll be able to decrease the overhead caused by frequent returns. Because gift cards allow consumers to pick out their own presents, they’re less likely to receive the wrong thing. Convinced that your business needs to sell gift cards yet? Great! It’s easier than ever to get started with modern gift card technology, and modern systems that help you sell gift cards – such as Blackhawk – can usually be integrated quickly and easily into your POS system. And for smaller businesses, you have even more options, like Square Gift Cards. These systems are affordable, easy to implement, and can have a seriously positive impact on your business. But implementing a gift card program is only part of the puzzle. You can sell the best gift cards in the world – yet unless you advertise your new program to consumers, you won’t reap the numerous rewards of gift cards. So what are the best ways to promote a gift card program once you’ve implemented it? We’re glad you asked! We’ve put together a list of the 7 best ways that your business can promote your gift card program – and enjoy the numerous benefits that selling gift cards can have for your revenue, customer base, and overall profits! The first step to a fantastic gift card program is a great gift card design. You shouldn’t skimp on the quality of your gift cards – after all, customers will be interacting with these cards regularly, and they expect a certain level of premium quality and materials. Here are some guidelines for creating a smart gift card design. Keep it simple – You don’t want to overdo your card with complicated imagery, flashy metallic materials, or small details. Instead, focus on overall visual appeal, and make sure that the design of the card integrates your store’s branding well, and maintains all required brand standards. Put that logo front and center – Your store’s logo should be the focus of your gift card, for several reasons. First, this will make it much easier for your customers to keep track of their gift cards – and remember that they can spend them at your store. Second, gift cards are a great way to market your store. When a customer looks at a gift card from your store, they’ll remember your products and services – so make your store’s logo the centerpiece of your card. These guidelines are simple, easy to follow, and effective. So whether you’re working on in-house gift card designs or outsourcing to a professional, keep them in mind as you’re designing cards to promote your gift card program. It’s always a good idea to start with the basics when promoting your new gift cards – and in-store merchandising is absolutely key if you want to sell gift cards. Here are a few guidelines to follow. Display gift cards near cash registers – This has several advantages. First, gift cards are often an impulse buy, so displaying them near cash registers is a surefire way to sell more gift cards. Second, placing gift cards near cash registers allows your cashiers to keep an eye on them – and make sure that any potential gift card fraud is eliminated. Invest in branded displays – You shouldn’t just settle for generic gift display holders. While generic units are certainly cheap and easy to use, a branded display is a great marketing tool – it’s a billboard that screams “come check out these gift cards!”. And if you’re just beginning to offer gift cards at your store, you’re going to need to spread your message far and wide. Display your gift cards alongside gift cards – If your store sells gift cards to other stores through Gift Card Mall, it’s a good idea to place some of your cards on the display, or nearby. This will help build trust in your brand – even if a consumer has never bought a gift card from your store before, they’ll be likely to do so if it’s near a gift card to a trusted merchant like Target or Amazon. These quick merchandising tips will help you make the most out of your new gift card program, and aid you as you begin to sell gift cards to the public. Now, we’re not suggesting that you have to force your cashiers or customer service representatives to try and sell gift cards each time they check someone out. In fact, this kind of aggressive approach to selling gift cards can be counterproductive. Customers don’t like getting the “hard sell” whenever they try to buy something, and cashiers get sick of trying to sell gift cards (which makes them less likely to do so!). But there is a solution. Instead of having employees try to sell gift cards, simply have them mention your store’s new gift card program to each customer that they check out. You don’t have to do this forever – a few weeks or a month is enough – but this is a fantastic way to ensure that your regular customers are aware of your new gift card program, and have all of the information that they need to take advantage of it. And because you’re not requiring your cashiers or customer service representatives to “hard sell” gift cards, the interaction can be much more natural and conversational. Did you know we started offering gift cards? Have you seen our new gift card designs? Have you bought one of our new gift cards yet? Holidays are great opportunities for retailers to focus on promoting gift cards. One of the most popular ways to do so is with custom gift card designs. If you have the resources to do so, seasonal gift card designs are a fantastic way to promote your gift card program. Simply remember the rules that we set forth for your gift card designs above. Keep them simple, focus on your logo, and have some fun with the design! It’s also worth investing in seasonal display racks for your gift cards – if you’re selling “Happy Holidays” gift cards, for example, consider customizing a gift card holder with snow, ornaments, and other seasonal decorations! Cross-promotion is one of the very best ways to advertise that your store sells gift cards. Your store can offer special gift card promotions such as Buy One Get One (BOGO) gift cards, a free gift card with the purchase of a particular item, or a discount on a customer’s order if they buy a gift card. These offers are sure to pique the interest of deal-hungry consumers, who are sure to come in and take advantage of the savings offered by your new gift card cross-promotion campaign. This is a very cost-effective way to advertise, too. You can purchase ad space in a local paper, or get your coupons and offers included in your local Sunday circular. You would be surprised at how effective these methods of advertising are – even in our digitally-focused world. When you’re just beginning to sell gift cards, your main barrier is customer ignorance. If a customer doesn’t know that you sell gift cards, they can’t buy them – even if they wanted to! Because of this, you should focus on spreading the word about your new gift card program through every online channel available to you. Ensure that you update your website to show that your store now offers gift cards – and consider creating some specialized content for your gift cards such as FAQs and other information. By doing so, you can be certain that anyone who visits your website will be aware of your gift card program. You should also spread the word on social media, if possible. Simply make an announcement about your gift card program on your Facebook, Twitter, and Instagram pages, and any other social media channel that your business uses. After that, post a few more times about gift cards over the next couple days – mention special promotions, seasonal deals, and other bargains. By doing so, you can be sure that your followers will see the details about your gift card program – and will be more likely to make use of it. If your store has a loyalty program, (and it should – loyalty programs are a fantastic way to help your business grow) you should consider integrating your new gift cards into your loyalty program. Though the specifics of how to do so will differ depending on your loyalty services provider and gift card provider, the benefits are numerous. First, gift cards feel more “real” than a gift certificate, or an in-store credit that’s simply applied to a customer’s loyalty account. Customers feel like they’ve actually been given something material – and that’s likely to further increase their loyalty to your company. Gift cards are also extremely convenient for customers and retailers alike. By using gift cards instead of coupons, gift certificates, or other kinds of in-store credit, you standardize the customer rewards system, and make it much easier for customers (and employees) to understand how the loyalty program works. Finally, customers who have a gift card issued from a rewards program are much more likely to spend it at your store. This means they’re more likely to keep shopping from your store – and that means that they’ll continue to stockpile loyalty rewards. This positive feedback loop is enormously beneficial to keeping loyal customers, and increasing profits. Stuck With Useless Gift Cards? EJ Gift Cards Can Help! Hopefully, this article is useful to you. 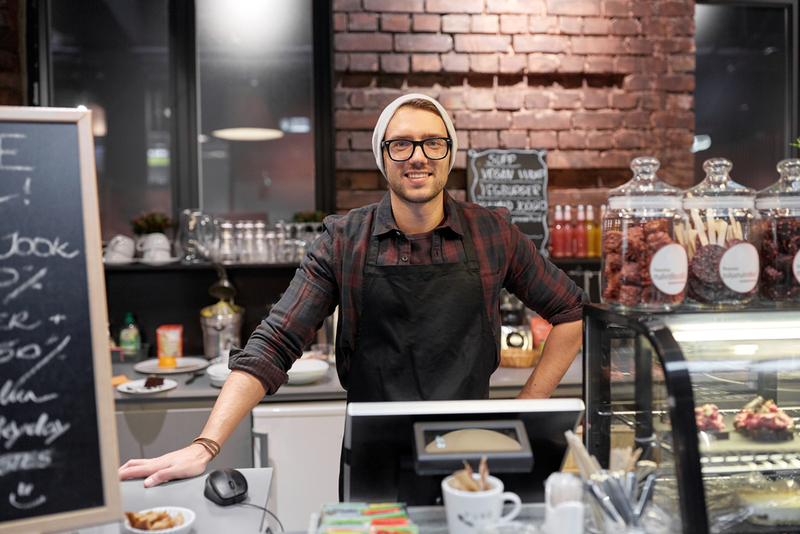 Whether you’re a small business owner considering a gift card program, or you’ve already implemented one, the tips listed above are sure to help you succeed. But despite the many benefits of gift cards, they have some disadvantages. Have you ever been stuck with a gift card you couldn’t use? If so, you need to check out EJ Gift Cards now. At EJ Gift Cards, we buy gift cards from hundreds of retailers, superstores, online businesses, and even restaurants. Our step-by-step process makes it incredibly simple to sell your gift cards online, and we offer payment through PayPal, so your money will always be safe and secure. So don’t wait another second! Sell those useless gift cards to EJ Gift Cards now, and use that money for something more useful – such as an investment in a gift card program for your own store!